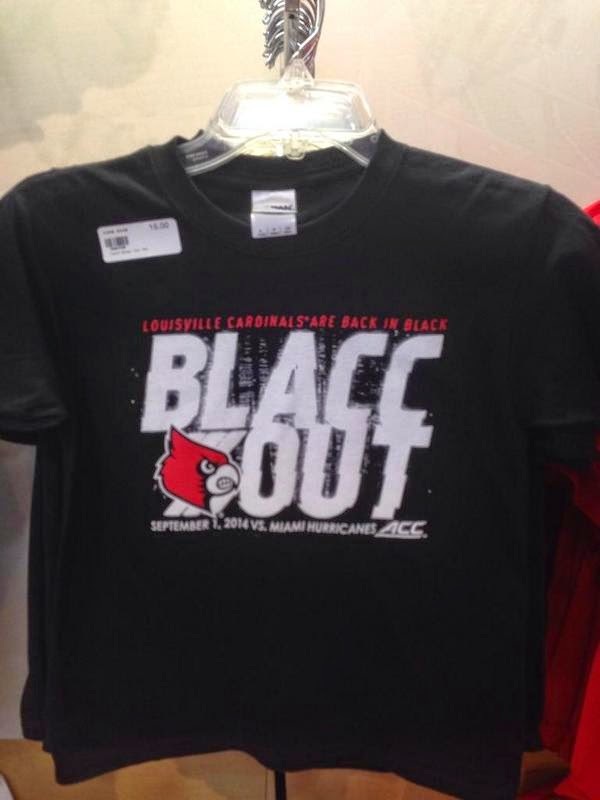 Shirts With Random Triangles: Louisville celebrating first ACC conference game with "BLACC OUT" t-shirt. Of course, there's a t-shirt already made up to capitalize off the event. One that takes a few liberties with the English language to mark the fact it's Louisville's first ACC conference game. This is one of those times when you can't decide on whether points should be given or taken away for this kind of creative misspelling. Possibly both.